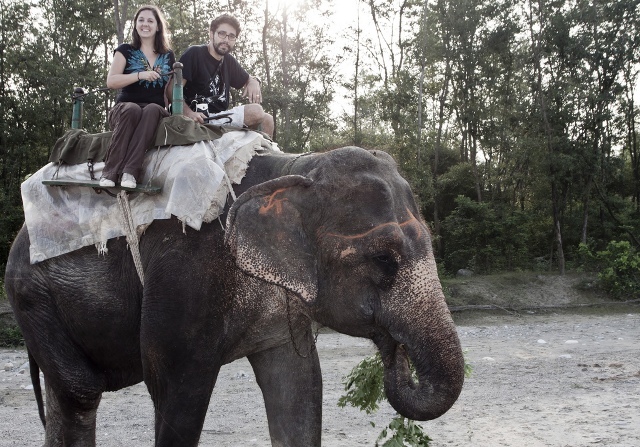 Have you ever come across the adventurous India? You might be for sure to explore the true wildlife resting amazingly in India and if you are opting for an advantageous tiger tour, definitely your index finger will raise towards the Jim Corbett National Park in Nainital, Uttarakhand. The national park that has gained tremendous fame for being the oldest reserve in India and above all the proud host of the Tiger Project, that attracts tremendous wildlife visitors to make a gigantic visit to its lush surroundings. One can’t simply ignore the fact that a wildlife tour is really incomplete without a safari tour and so the tiger’s land is master in it and brings a fantastic Corbett safari tour for most of the wildlife enthusiasts. Corbett safari that buffets the Elephant, Jeep and Canter safari (for the troops) is an incredible opportunity to get much closer to the wildlife and distinct species of Corbett like Tiger, Leopard, Elephant, Spotted Deer, Sambar, Nilgai, Hog Deer, Barking Deer, Sloth Bear, Wild Boar, Ghural, Langur and Rhesus Monkey. Corbett has been distinguished into different safari zones so the tourists can find an easy access to the core areas of the jungle to catch the wildlife in it. And to get into the safari locations of the Corbett, a prior reservation is needed. The tourists can get inside the park area through the authorized vehicles after getting a permit through the respective gates. 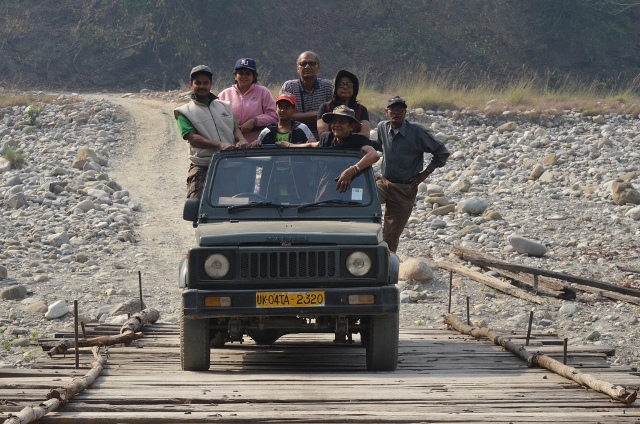 Once you get a hired jeep/ gypsies from Ramnagar, you are inside the famous safari zones of Corbett and remember you need to re-fuel your vehicle before entering into the jungle as you will not find any fuel station over there. Another good option for you is that probably if you are in a troop, the Corbett authority will bring a day-tour on a safari canter / bus. But of course the capacities are limited; and so get ready for a prior reservation. Your excitement of a Corbett Tiger tour should not get lowered with the formalities of reservation and getting permits. Be assured you are on your way to a marvelous tiger tour and it’s all about your safety and protection. For day visits permits are obtained at the respective Entry Gates. However permits for night halts are issued at the CTR Reception Office at Ramnagar. Day visits to the Dhikala Tourism zone are not permitted except in conducting safari organized by Corbett Tiger Reserve. Only visitors who have prior accommodation reserved can enter Dhikala Zone. If you are thinking of some night halts, the well maintained tourist complexes at Dhikala, Gairal and Bijrani ranges bring an optimum choice of accommodation for you. However, the basic lodging is also available for tourists at other Forest Rest Houses at Malani, Sultan, Gairal, Sarpduli, Khinanauli, Kanda and Jhirna. Visitors can also stay at the Forest Rest Houses at Lohachaur, Rathuadhab, Halduparao, Mundiapani, Morghatti, Sendhikhal and Dhela. The added advantage of advance booking is that you can receive permits easily from the Ramnagar reception office before entering into the park. So, it is advisable to make bookings well in time. So this time if you are planning for a Corbett wildlife safari tour remember, you need to follow some of the guidelines and rules, definitely to make your trip more exciting and safe. Are you ready for the thrills in the dense jungles?